“Mentality: A Wang Shaojun Art Exhibition” will open at Delson Green World Golf Club. 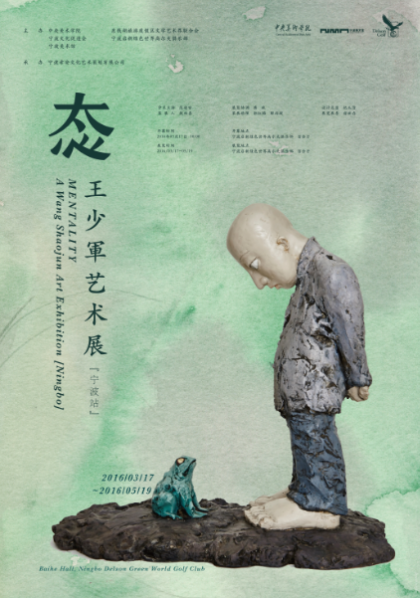 “Mentality: A Wang Shaojun Art Exhibition,” which was held by the Central Academy of Fine Arts, the China Artists Association, and the China Sculpture Institute from December 27, 2015 to February 18, 2016 at the CAFA Art Museum, was an immense success, drawing praise from both academia and the general public. At the beginning of spring, Ningbo, a city with an impressive history and culture, extended an invitation to host “Mentality.” The exhibition in Ningbo was organized by the Central Academy of Fine Arts, the Ningbo Society for the Promotion of Culture, the Ningbo Museum of Art, the Dongqian Lake Federation of Literary and Arts Circles, and the Delson Green World Golf Club and presented by the Ningbo Xian Culture and Art Curation Co., Ltd. “Mentality: A Wang Shaojun Art Exhibition” will open on March 17, 2016 at 10:00 am at Delson Green World Golf Club. For this exhibition, Central Academy of Fine Arts President Fan Di’an served as academic adviser and Central Academy of Fine Arts Academic Committee General Secretary and China Sculpture Institute Vice President Yin Shaungxi served as curator. The exhibition will feature 60 works of sculpture and nearly 100 watercolor paintings, divided into two sections, Things and Roles, based on chronology and style. The name “Matters” symbolizes the Wang Shaojun’s sensitivity to the importance of regional cultural identity. As a classic northerner, he is devoted to northern culture. In the northern dialect, the Chinese words for “Matters” and “Events” has an “r” sound added to the end. With the addition of this “r,” “Matters” can be both physical and metaphysical. You try to find Matters to do every day, but you might spend a lifetime trying to do a few Matters. In this sense, “Matters” are daily actions, but they also stress the artist’s creative attitudes and his ability to revisit past perspectives. This section showcases Wang’s works of realistic sculpture from the 1990s, focusing on individual portraits; his sculptures have featured historical and cultural figures from around the world, as well as ordinary people from all walks of life. This series of famous cultural figures was created during the early years of Reform and Opening, and through these sculptures, Wang meditated on national and personal historical events and intellectual changes. The profound and worried expressions of these famous people are metaphors for the artist’s innermost reflections; the sculptures echo the paintings in the exhibition, which are realistic watercolors of the people and customs of Xinjiang painted from 2011 to 2014. Extracts of Wang Shaojun’s thoughts have been woven between these two art forms; his notes on realistic painting, figurative sculpture, art, and reality are the linguistic vehicle for the presentation of his artistic ideas and creative processes. This section can be seen as a preface to the exhibition, presenting past developments and course changes in Wang’s art. However, this section can also be seen as a postscript to the exhibition, presenting his look back on the past through the lens of the present, as well as his considerations of society today. In its initial sense, the word Characters is a homage to the unparalleled skills of traditional opera actors. In the present day, this word is usually used to indicate any person who excels in his or her field. In the exhibition, there are two parts to this idea. The first is the recently-created figure of a highly individual and identifiable bald man wearing long cyan gown. The figure can continue to play these various Characters like an actor, and he serves as a real portrait of the various appearances of humanity. The second part is an attempt to communicate the artist’s views on art and life. “Every time I’m faced with the demands of the outside world, I instinctually transcend and observe them; I drift within them, as if my mind was separated from my body.” Therefore, Characters shows Wang Shaojun’s attitude towards current artistic creation. He does not want to see artworks as the conclusion of the act of artistic creation; he focuses on the tricks of daily experiences and spirits in his own life and the continuous production of ideas, and he even looks back on an understanding of his past life. He cares more about the processes of artistic thought and creation and the reflection of himself in his work. He pours all of this into his own presence in the work; the consistency of the artwork and the artist represent the transcendence and sublimation of the creative attitudes in his early realist sculpture; he also considers the marvelous transformation of the relationship between the artists and his works. The figure hidden behind the work in the early years gradually came to the forefront of his work. As the artist and his work became one, they stood before the viewer for eternity. This section showcases Wang Shaojun’s spiritual and diurnal watercolor works when aiding Xinjiang’s construction from 2011 to 2014 and sculptures based on this source material created. These works are also interwoven with many years of his notes on the multiple dimensions of life, art, culture, history, and reality. This section contains Wang’s latest works, which are the high point of the exhibition. By presenting Wang’s current artistic ideas and creative states, he reflects the unique course of life and art. These works show the artist’s thoughts on the meaning of life and man and the course of his own life. Whether passively or actively, physically or mentally, these thoughts were eventually transformed into a living spiritual power. If Matters is the mentality of caring, then Characters is a transcendent state. 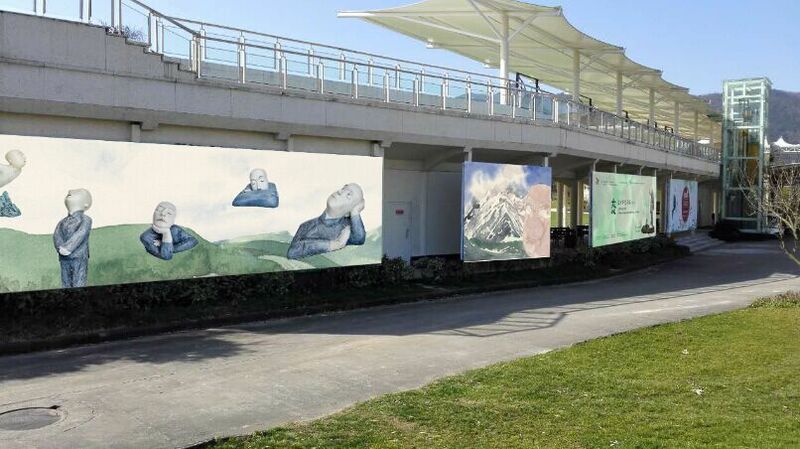 The Ningbo Society for the Promotion of Culture, the Ningbo Museum of Art, and the Dongqian Lake Federation of Literary and Arts Circles are devoted to fostering art and culture in Ningbo for the benefit of society. This presentation of Wang Shaojun’s work, in collaboration with the Central Academy of Fine Art, will further promote cooperation between Ningbo and CAFA, China’s most prestigious art school, and improve the quality of public cultural and artistic life in Ningbo. 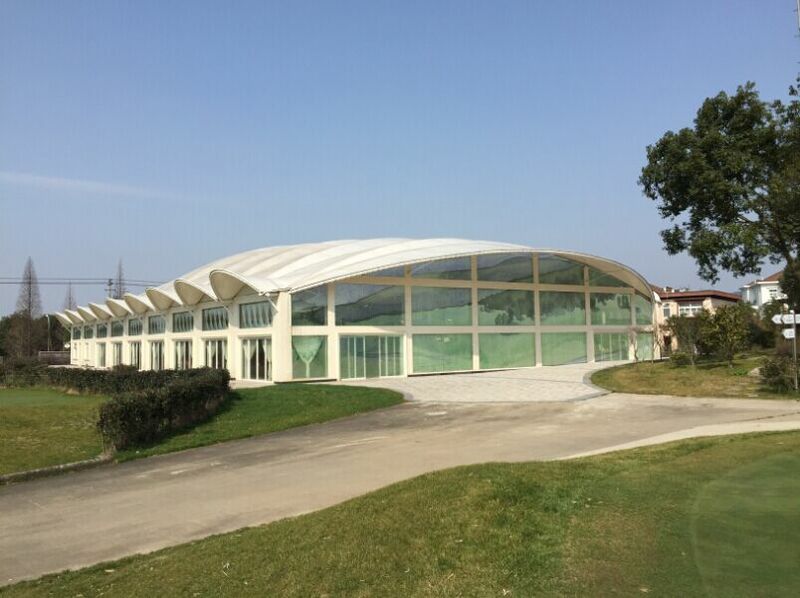 We believe that this exhibition will add a unique artistic and cultural ambience to spring 2016 in Ningbo. Courtesy of the artist and Delson Green World Golf Club.